planning. 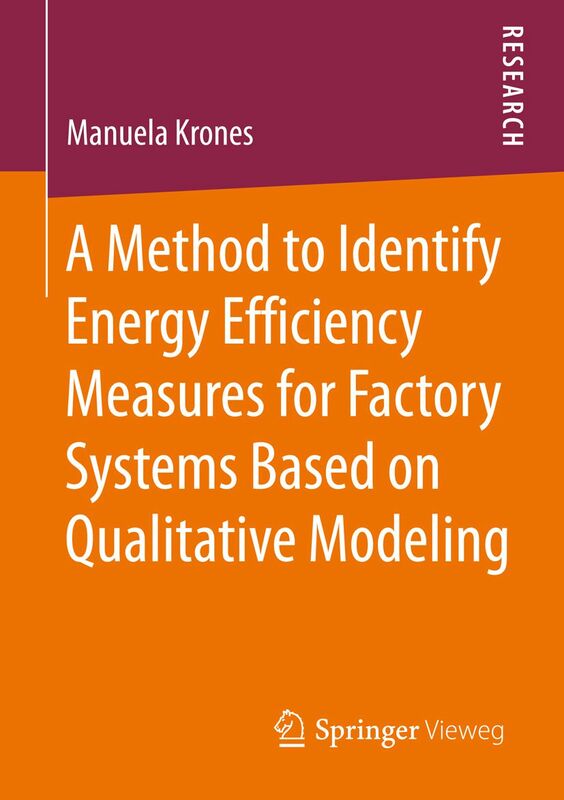 While existing methods for energy efficiency improvement usually contain a quantitative assessment, this work suggests the identification of measures based on qualitative models of the factory system. The main support is to generate solution approaches for increasing energy efficiency. The research contribution lies in a method that contains qualitative description concepts for both factory planning tasks and energy efficiency knowledge, an algorithm to suitably assign energy efficiency measures to factory planning tasks, and a procedure model for the method’s application. Energy and resource efficiency are fundamental instruments and objectives for factory planning that is focused on sustainability. 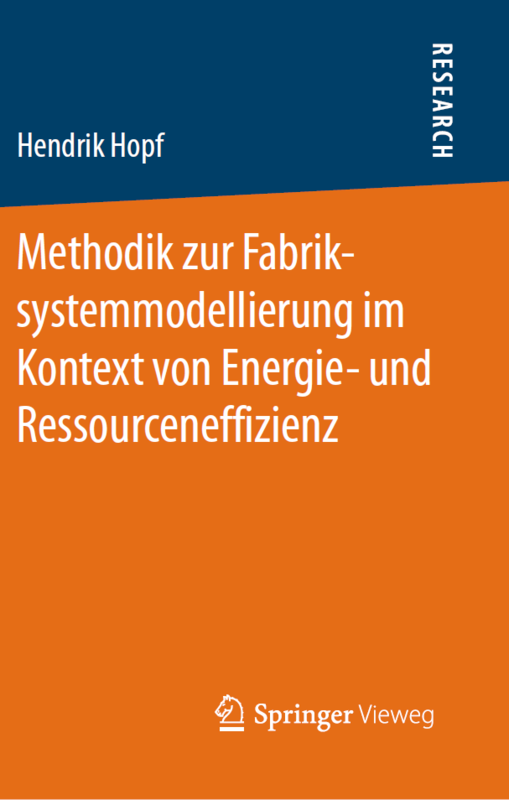 Against this background, which is relevant for both science and practice, the method for factory system modeling in the context of energy and resource efficiency (FSMER) is developed and evaluated in this thesis. The method FSMER is composed of a meta model, four factory system concepts (hierarchy, function, structure and life cycle of the factory), a reference model and a procedure model. The goals of this method are the holistic, methodic and model-based description of the factory with respect to the objectives energy and resource efficiency in early conceptual planning phases, the explanation of interrelationships and the identification of potentials for efficiency improvements. Thus, FSMER helps to represent and assess the complexities of a factory and the effects of planning decisions in a simplified and graphical form. The factory of the future must be responsive, be changeably and cross-linkable. The methods of factory planning and factory operations must meet these requirements, so the authors have adapted and developed the new requirements. They present a typology of factories, factory and competence networks, whose dimension and structure support the selection process of plant types. For the design of versatile factories with their logistics processes, production and factory systems solutions are presented on the basis of flexible and mobile factory modules and describes suitable concepts and models. A holistic representation method is developed, which is based on a single viewing space of Factory Planning and Factory Management. It allows all phases of the plant life cycle for each object level, the selection and application of appropriate planning instruments. It focuses on the versatile, segmented, networked and competence network-based factory and the factory versatile models of the digital and virtual factory. The second Edition has been extended and supplemented by the aspects of resource-efficient factory. The book contains many practical examples for planning and managing changeably and crosslinkable factories. The central purpose of this book is to impart knowledge, skills and practical implementation methods for the planning and operation of adaptable production facilities and factories. 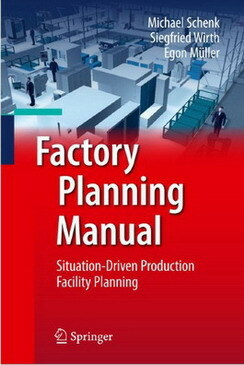 It addresses planning methods and procedures for various types of production facility up to and including entire factories, and is aimed at practicing factory planners and students alike. The book provides facts and demonstrates practical processes using case studies for the purposes of illustration, so that ultimately skills can be acquired that make independent practical implementation and application possible. It is based on up-to-the-minute practical experience and universally applicable knowledge of the planning and technological design of adaptable production facilities (manufacturing and assembly) and factories. 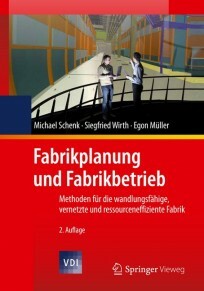 In comparison to existing, thematically-similar reference books, what is innovative about this manual is that it provides the impulse for a more flexible planning approach for the efficient design of adaptable production facilities using responsive, unconventional planning and organizational solutions. The book aims to provide a way of integrating systematic and situation-driven planning methods in a meaningful way. Situation-driven planning is becoming increasingly important to production facilities in these fast-moving times of change, in particular in terms of resource and energy efficiency. Existing technical and organizational course of action in terms of resources (both human and technical) need to be selected for the specific case at hand and changes (to workshops, products, processes and equipment) need to be managed.